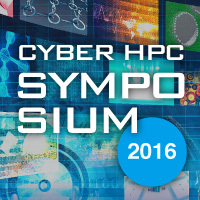 The following list is past Cyber HPC Symposium. Date: Mar 25, 9:30 a.m. - 6:00 p.m. 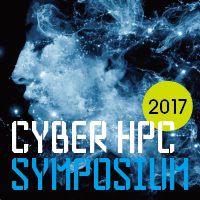 This symposium invites experts who have worked on large-scale computation and visualization in industry-academia and considers the theme of visualization for promoting HPC and HPC for supporting large-scale visualization technology, based on utilization examples of our large-scale computer system and visualization system and trends of research and development. 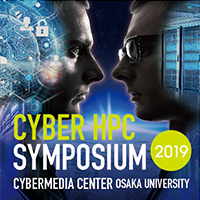 If you want to participate this symposium, please apply from the web application form on the bottom of the page. Date: Mar 16, 9:30 a.m. - 5:45 p.m. Date: Mar 16, 9:30 a.m. - 6:00 p.m. 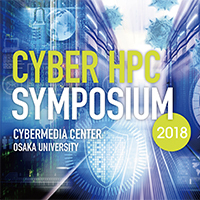 This symposium invites experts who have worked on large-scale computation, system administration and management, and security in industry-academia and considers the theme of high-performance computing infrastructure requiring data security, based on utilization examples of our large-scale computer system and trends of research and development. 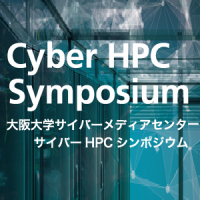 This symposium invites experts who have worked on high-performance computing and cloud computing in industry-academia and considers the theme of future high-performance computing service based on utilization examples of our large-scale computer system and trends of research and development.